The Find: Here's yet another super-cool venue to fuel your caffiene habit.... and its East Londoners who win again. Perched in central Hackney, Wilton's opened it's doors late 2009 and since then has developped quite a following. Created by David McHugh and Dominik Prosser, Wilton's is a well-designed space cleverly mixing old with new. A corrougated steel bar proudly houses their La Marzocco, whilst reclaimed crates have been blessed with wheels for use as movable tables or seats. A few funky lights brighten the place up and the sash windows let in plenty of the natural stuff. As for the coffee - it's top notch. Expert baristas create Antipodean style drinks using locally roasted beans courtesy of Climpson and Sons. The menu is well crafted and so too is the coffee. It's not really an eating venue but the modest menu of Sourdough toast, salads, bacon sarnies and sausage rolls will fill a gap if necessary. Having said that, they deserve praise for their pick of artisan suppliers - Neals Yard Dairy, Brindisa, Ginger Pig to name a few. 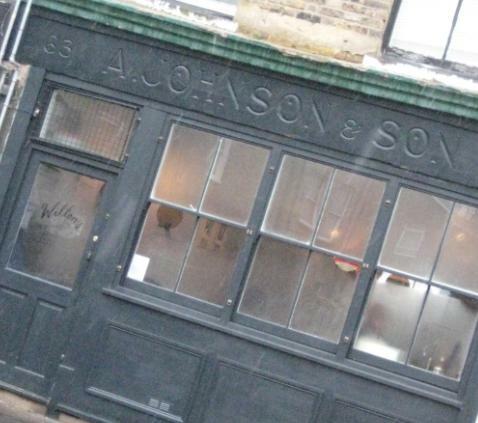 Wilton's is certainly a place to feel a creative buzz. Exhibitions from local artists fill the walls whilst the booth in the corner houses London Fields Radio, which adds a unique and quirky dimension to this coffee shop. This is a must visit venue and well worth the journey if you're from the West.